When does my business need a website? The simple answer is: from the start. I recently read an article called Why your business needs a website (2012) on the theguardian.com, which states that 60% of small businesses in the UK still have no online presence at all. This is surprisingly high, as a study by Search Engine Land (2012) shows 85% of consumers look to the Internet to find local businesses. Although both of these studies are a couple of years old now, working in the industry does still give me the sense that these statistics are not too different in 2014. No matter the size of your business, whether you are a sole trader or multinational business, having a website is vitality important in the technology age we live in. New customers: Having a website will help you engage with customers that were otherwise unable to find you before. Affordable advertising: The running costs of running a website are relatively small and offer advertising that runs 24/7. This allows customers to find you at any time of the day. Contact details: Details of a customer can be gathered to allow you to send promotions. Inform customers: Having a website is a great portal for customers to learn more about your services. This will allow them to mull over decisions and avoid frequently asked questions. Websites can be affordable and the technology shouldn’t be a barrier that stops you from enhancing your business online. 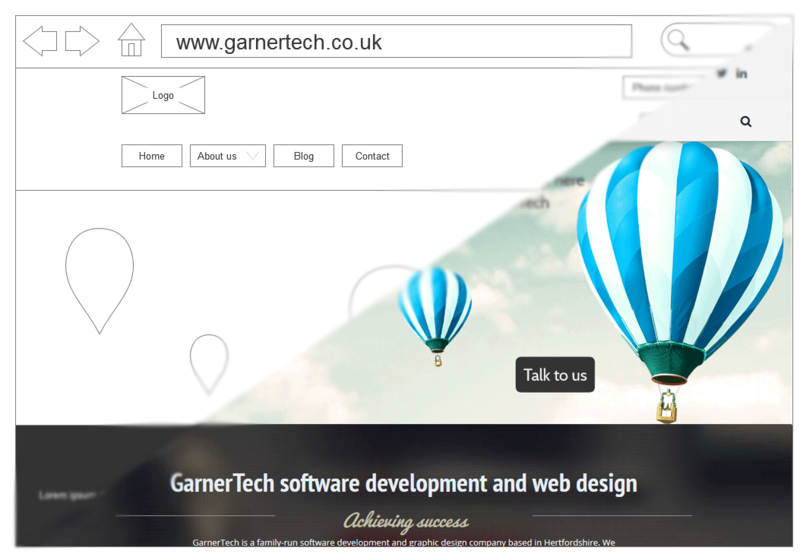 Can GarnerTech help me produce a website? Of course we can! We’ve been working in web for years and we’d love to help you embrace the web and all the advantages it can bring. Give me a call on 07704 055390 and I’ll be more than happy to discuss how we can help.